Rooms, services A comfortably furnished room is offered by Hotel Europa Jastrzębia Góra to guests looking for accommodation in Jastrzębia Góra. 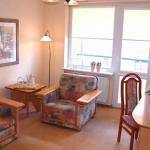 The pension welcomes you and the complete family with child-friendly services. You may also take your small pet with you for your holiday, for the pension is pet-friendly. The pension has an own parking lot, enabling you to park your car on the spot for an additional fee. Wireless Internet connection (WiFi) is available at the pension, ensuring that you can stay up-to-date during your holiday. The exact scope of services offered by Hotel Europa Jastrzębia Góra (including those for an extra fee) and the exact equipment of a room are available on the information sheet below and on the information sheet of the given rooms. Payment You may use the following method to pay your room: cash. To confirm your reservation Hotel Europa Jastrzębia Góra is asking you to pay 30% in advance. Arrival, opening hours The earliest time to check in at the pension is 14:00, the latest time to check out is 12:00. The personnel speaks English, Polish and German. Reserve your accommodation and Hotel Europa Jastrzębia Góra will directly send the confirmation in 1 workday. 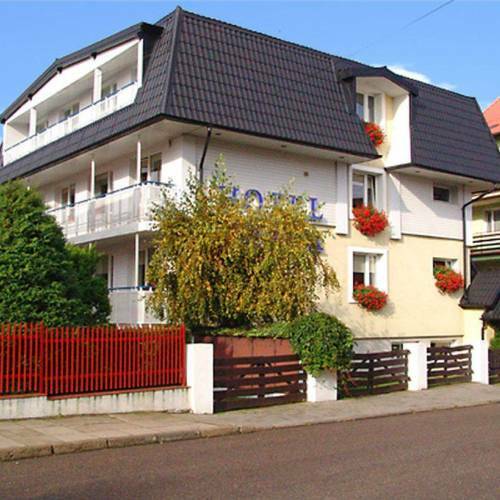 The rating of Hotel Europa Jastrzębia Góra is 5.3 from the maximum of 10, based on 3 real guest reviews. "zimno, słabe ogrzewanie , okna nie szczelne, nie miła obsługa"
"W pierwszą noc było zimno w pokojach."